For many years my weight had gone up and down. Before I knew it, I was an astonishing 445 pounds. I had to use crutches or a wheelchair to get around because of intense pain in my knees. I could barely breathe. I hated myself but couldn't find a way to change. I couldn't lose weight without exercise and I couldn't exercise until I lost weight. It seemed hopeless. Then my doctor sent me to Dr. Afram. From the moment I listened to his discussion at the seminar, I realize that here was a rare doctor, one who truly cared about his patients and their health. I chose to put my trust in Dr. Afram and his staff and with God's help and Dr. Afram's skill my surgery was a success. 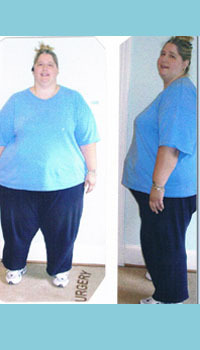 I have lost an amazing 261 pounds going from a 32 pant to a 8 or 12, and from a 32 top to a small. My weight is down from 438 at time of surgery to 177. I am healthy, happy and energetic. I can actually outrun some of my grandkids. 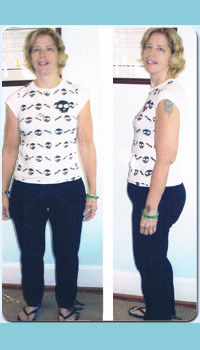 Dr. Afram and gastric bypass surgery gave me the start I need to achieve my goals of weight loss and improved health. If asked if I would go through the surgery again and if it was worth it, the answer is always, without a doubt, "YES"! If you are considering surgery and have questions for me, please feel free to ask Dr. Afram for my contact information. I will be happy to talk with you. God bless.